The possibilities are nearly limitless. Your earning potential isn’t capped. You can work when you want, when you’re at your personal best. In the gig economy, side hustles have become increasingly popular. For many, traditional job roles simply aren’t cutting it anymore. The attraction to side projects is immediate. Others pursue side hustles as a means of finding expression for their greatest passions. Whether it’s to augment their income, spend time doing something that makes them come alive, or save up for a rainy day, there are plenty of good reasons to diversify and be less dependent on jobs to make a living. 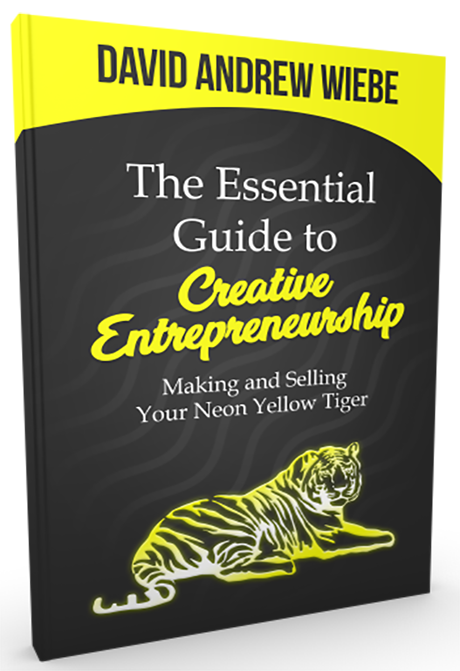 In The Essential Guide to Creative Entrepreneurship: Making and Selling Your Neon Yellow Tiger, you will learn about various aspects of creative entrepreneurship, from marketing your art to building a team and a great deal more. The ideas and examples presented will help you navigate the road ahead, whatever that may look like. It reached #1 in New Releases in the Business of Art category on Amazon! Here’s what you’ll learn inside The Essential Guide to Music Entrepreneurship: Making and Selling Your Neon Yellow Tiger. As a creative, you probably don’t need to be told to work on your art. You would do it even if no one was paying you to do it. But there are a few things you should know about the strategic aspects of making your art. That’s what you’ll discover in this chapter. Make no mistake about it – your art does not appeal to everyone. Understanding the behavior of your target audience is key to cutting through the noise and standing out as a creative entrepreneur. I’ve talked to hundreds of business owners. What I’ve discovered is that many who’ve freed themselves to work on high-level tasks in their businesses often engage in marketing. As a creative entrepreneur, at the very least, you should know the basics of marketing. Today, people lead two lives – their physical life and their digital life. So, if you aren’t leveraging both touch points, you’re almost certainly leaving money on the table and missing opportunities. You’re at the heart of your creativity. So, you might assume that you are the most important person in your career. But your career would not be possible if not for the people that support you on your journey. Growing your business is going to prove difficult if not impossible unless you grow with it. In this chapter, you’ll learn a few ideas on how you can overcome your objections and fears around hiring. The purpose of systems is to boost your productivity. No, scratch that – the purpose of systems is to boost your effectiveness. Learn how systems and creativity complement each other. If you understand the fundamentals of how to present yourself in the best light, you will create more opportunities for yourself – not just in your creative work but also in life. Your mindset will play a critical role in your longevity and ultimate success as a creative entrepreneur. In this chapter, you’ll discover why 80% of success is psychological. Is there something in your life you say you want to do, but you keep putting off? What’s going on there? It’s not that you don’t know what to do. But having that knowledge hasn’t changed anything in your reality. That’s where personal development comes in. Your ability to create a sustainable and lasting career or business hinges on your financial smarts. So, the topic of money management needs to be addressed, regardless of how uncomfortable or emotional it makes us you feel. Creative alchemy is the art of combining your skills and talents to create something unique. How can you fuse your talents and skills in a way that allows you to shine? That’s what you’ll discover in this chapter. 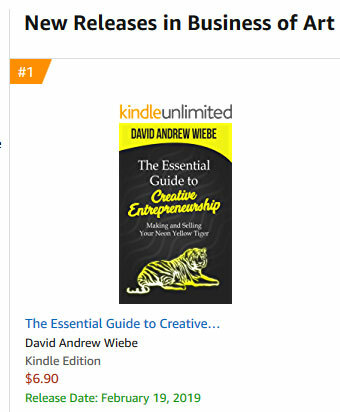 #1 Amazon bestselling author David Andrew Wiebe is based in Calgary, Alberta, Canada, and has been creative since birth. From painting and drawing to writing and making music, his creativity has known many expressions. He is a passionate and active musician, studio engineer, author and content creator, designer, teacher, speaker, coach, entrepreneur, investor and community builder. Wiebe is a prolific podcaster and has interviewed the likes of Derek Sivers, Tommy Tallarico, Dave Cool, Jesse Cannon, Bob Baker, James Moore, Helen Austin, Christopher Sutton, Ian Temple, James Schramko, Jason Davis, Jules Schroeder, Rich “Younglord” Frierson, Brent Vaartstra, Matt Starr and other luminaries. He’s performed and recorded with the likes of Lightly Toasted Touché, Angels Breaking Silence, Shoestring Fusion, Adrenalize, The Active Light, Jonathan Ferguson, Long Jon Lev, Frederick Tamagi and Mtrio among others. Wiebe has many recording credits to his name and even appeared on Frederick Tamagi’s id Live DVD. He also produced, mixed, mastered and engineered Andrew Riches’ 12 String Monster. Wiebe started The Music Entrepreneur HQ in 2014, has been a staff writer at Music Industry How To since 2015, has worked as an organizer, host and tech support for local creative communities like The Question, The Listening Room YYC, and most recently, The Indie YYC. 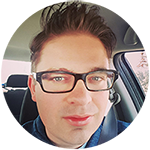 He also presented at WordCamp YYC in 2016 and 2017 and is scheduled to share at the 2019 gathering too. David and I have regularly performed live together for nearly a decade. What hit home with me about The Essential Guide is how perfectly laser-targeted the advice and strategies, many of which I never would have thought of, fit what I want and need to achieve as a veteran musician – even though the target audience includes all types of artists. And, there’s more – about 15 minutes after reading the first three chapters, a super cute girl in a grocery lineup started flirting with me and wouldn’t let up. Coincidence? Maybe. But all successful musicians since The Beatles have attracted groupies. And, I haven’t seen a better play-to-play manual than this one to be a successful musician.